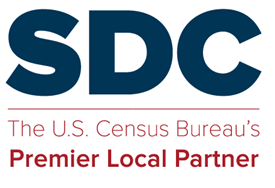 In this webinar, December 18, 2018, SDC members provide information on the Participant Statistical Areas Program (PSAP). Kim Korejko and Ben Gruswitz of Delaware Valley Regional Planning Commission focused on the details of the PSAP program and how it worked during 2010 for their agency and how it is expected to proceed this round. Bob Coats with the NC Office of State Budget and Management approached PSAP activities from a State Data Center perspective and how SDC’s might support PSAP activities. This webinar is the sixth in a series of Plan to Plan for 2020 webinars organized by the SDC Steering Committee and hosted by the SDC Program. PSAP 2020 SDC Network Webinar Delaware Valley Regional Planning Commission by Kim Korejko, Data Coordination Manager & Ben Gruswitz, Office of Long-Range Planning. PSAP and the North Carolina State Data Center by Bob Coats – North Carolina Office of State Budget and Management. Due to technical difficulties a recording of the presentations is unavailable. This entry was posted in SDC Products, Tips and Documentation and tagged 2020 Census Geographic Programs, Plan to Plan.